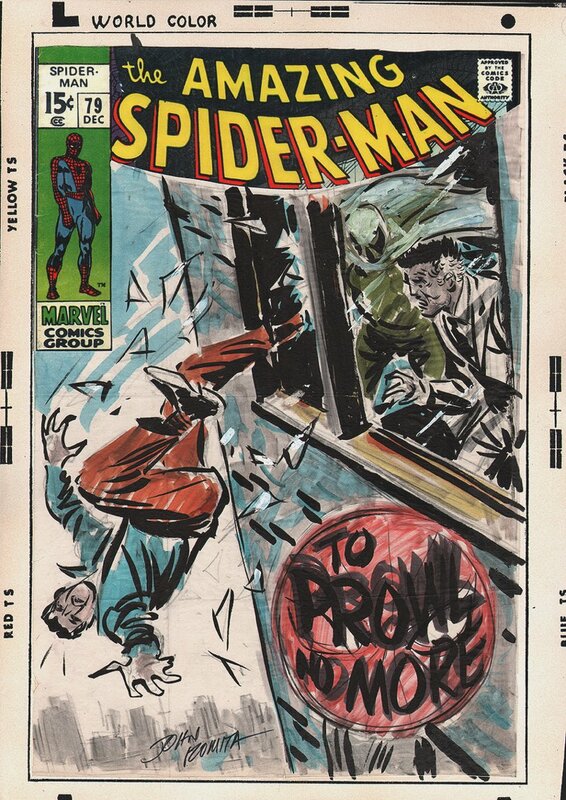 Romitaman Original Comic Book Art :: Private Collection :: Amazing Spider-Man #79 Preliminary Cover SOLD SOLD SOLD! by artist John Romita Sr. Drawn on 11 by 17 inch vellum on board.